I have been a fan of mystery and crime novels for as long as I can remember. Combine that with my love for Victorian England, and you can say I was beyond excited the moment I heard about Stalking Jack the Ripper. I drove over an hour to pick up an advanced copy from one of Barnes & Noble B-Fest locations, and I’m so glad I did. Ever since her mother died five years prior, Audrey Rose has been fascinated with studying the human body and has started apprenticing under her uncle in forensic science. When Audrey Rose’s uncle is accused of being the infamous serial killer Jack the Ripper, she vows to solve the crime and save her innocent uncle. I loved the main character, Audrey Rose. She’s brave, determined, intelligent, and very feisty. Even more so, she knows what she wants and isn’t afraid to go after it, even if that means being looked down upon by the rest of high society. I also enjoyed her snark and quick-wit so very much. I loved Kerri Maniscalco’s writing style and thought she did a wonderful job with the atmosphere, setting, characters, and the actual mystery. I was wrapped up in the story and could’ve read this in one sitting if it wasn’t for school work that needed to be completed. The pacing was a little bit on the slower side, but I think this enhanced my reading experience by allowing me to sink into the story even more. There were definitely some twists that kept me on the edge of my seat. I was intrigued by the mystery and felt like this was a fresh take on the Jack the Ripper story. The resolution came about pretty quickly, but I am definitely looking forward to where the sequel will go. Another addition I loved was the chapter headings that included blood splatters, dates/locations, and older photos. Another highlight of the book? Thomas Cresswell. Audrey Rose’s cousin Liza states a line that pretty much sums up my feelings entirely. She says, “There’s nothing better than a little danger dashed with some romance.” This couldn’t be more true than with the case of Audrey Rose and Thomas. I adored the banter they shared and I couldn’t help but ship them right away. Their flirting and romance definitely provided a nice relief from all of the creepy (and sometimes pretty gruesome) murder descriptions. 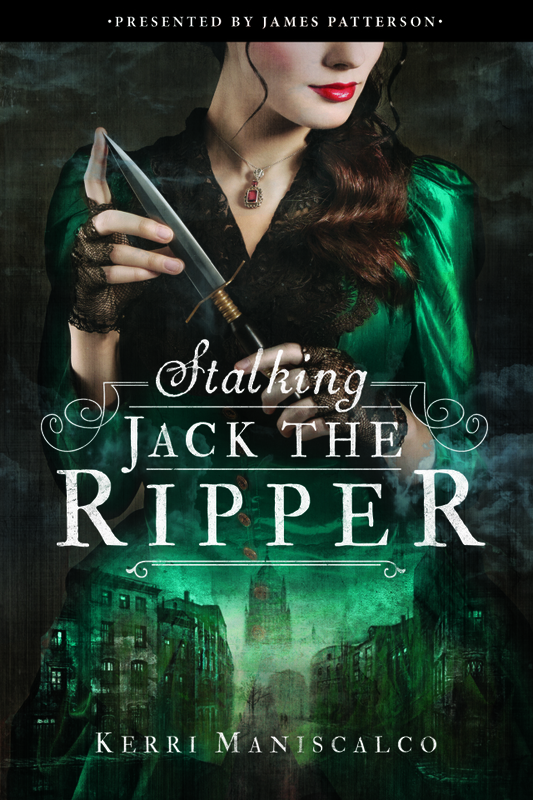 Overall, I loved Stalking Jack the Ripper and I can’t wait to read the sequel! This is definitely one of my favorite reads this year, and I highly recommend it. Even though the idea of this serial killer has always terrified me, I want to read this book. It sounds fascinating and suspenseful. A sequel?? I love that this book’s characters will live on to another page. It was definitely both! I’m not a fan of horror, but I really enjoyed reading this one. And I’m SO excited that there are going to be two more books!! I really liked this book too!! I was kind of nervous to read it bc I don’t read a lot of historical fiction or steampunkish-type books, but I do love true crime fiction & I really did enjoy reading it. Thomas was awesome!! I loved that he was so scandalous! Great review! I love books like this and I cannot wait to read it! YES! It makes me so happy to hear that you enjoyed this one :D! I’ve heard so many good things, I think I need to read it… I’m just worried because I heard it was gory? Audrey seems amazing though and so does the story! Isn’t is a series? I love how Thomas and Audrey sound :D! Ahhhh your review makes me want to pick it up, it’s so good! I hope you have a wonderful day! Yes, it is a series! There is a little gore, but it didn’t bother me so much as it is just words. The characters are worth it, though. You’ll have to let me know what you think if you end up picking it up!